Seems there was a lot said in 2009, so this blog summary for the last year has been split into 2 halves. This is Part 2, following on nicely from Part 1. The second half of any year begins with July. 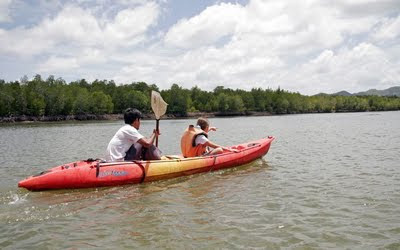 Here in Phuket, July is pretty quiet - we are in the "low season" although weather is often pretty nice actually. For more on the weather, please do look at and bookmark the Phuket Weather Blog. Thank you. 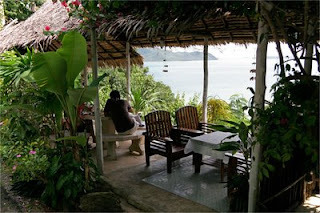 July - We started with a little restaurant that we often drive past but rarely stop at - if it has a name, I don't know.. something like "Good Food, Nice View" - great view actually from Cape Panwa across Chalong Bay. 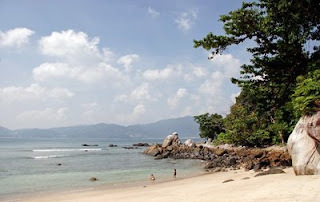 Then one of our favourite low season haunts - Paradise Beach, a small stretch of sand just outside Patong. Too busy for me in high season, but nice in July. A little restaurant, safe beach for the kids and cold beers for the dads! 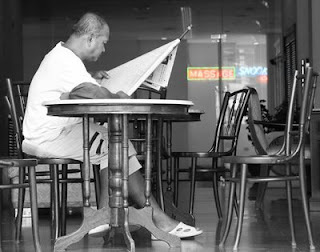 On July 18th I took part in the Phuket Photo Walk, part of a worldwide photo event for people to take photos of their home town. About 40 people showed up for the walk around Phuket Town. August - I wrote about another local event - the Phuket Flower Fair. 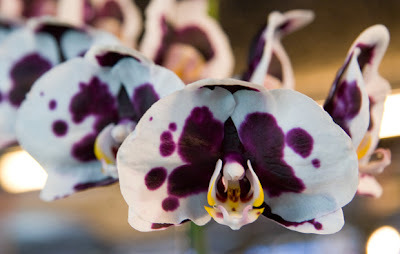 A huge variety of plants and flowers for sale, and prizes for the best orchids. In September, having been in contact with a mountain-walking, marathon-running American guy who lives in Phuket, I went along with him one morning with the aim of hiking up the highest hill in Phuket, well over 500m above sea level. A very hard hike, reaching the top at 542m with views over the ocean and across Phuket's hilly centre. I do intend to do some more hiking soon, starting with a trek up to the Big Buddha sometime in the coming weeks. Phuket has a real mix of culture. In September I blogged about the highly rated Mom Tri's Villa Royale hotel and it's restaurant Mom Tri's Kitchen.... in between, a visit to Luang Pu Supha temple, home to (yet to be ratified) the oldest man in the world, the Monk of the same name. I reckon he has lived all his years without stuffing his face full of profiteroles, and is highly respected for his continuous work for charity. Sometimes you have to take a step back and think about life from another angle. I ate several times at The Coffee Pot on the back road in Kata, Phuket. 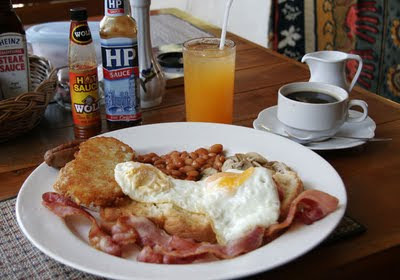 Big breakfasts, good coffee, like it. 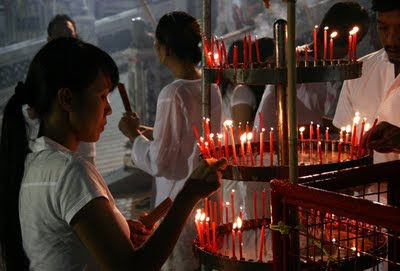 But for me, October is all about the Phuket vegetarian festival. My absolute favourite thing in Phuket. 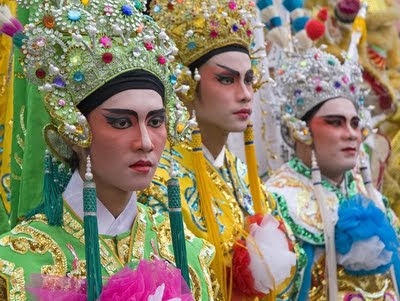 The festival lasts for 10 days. I stuck to the diet this year and even managed to drink no beers. Paid several visits to shrines in and around Phuket Town such as Kathu Shrine and had 2 fantastic mornings at Kathu Shrine and Jui Tui shrine watching the processions, pierced faces, entranced minds, I really recommend you see this! And then suddenly it's high season! Less time to blog, no holidays, less chance to get out and do things. If we've not been out doing things like we do in low season, I add more general information on the blog such as the Best places to book Phuket Hotels online. 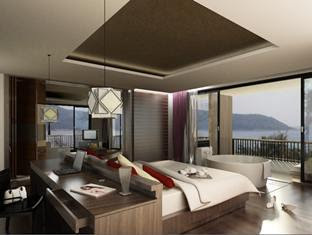 Did hotel review in November for the La Flora Resort in Patong Beach which opened in 2008. A bit of an oasis in the middle of the madness! Also visited Mai Khao Beach, right in the north of Phuket where you find the Seaside Cottages - cheap huts right by the beach, an extreme rarity in Phuket! December already! I blogged the Phuket Post Office Museum, one of many small museums in Phuket. It's in the old town - an area full of history. 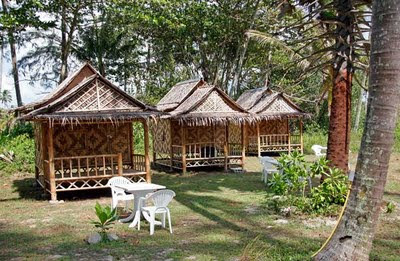 The next blog posts were reviews of brand new hotels - the Avista Resort and the Ibis Resort both at Kata beach. 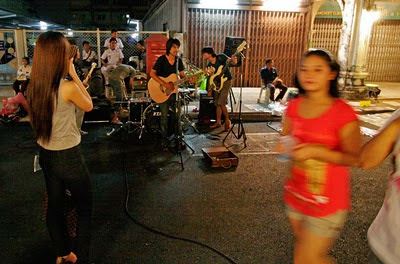 And then another great little street festival to round off the year - work has been going on in old Phuket for 6 months to rid Thalang Road of all overhead wires. 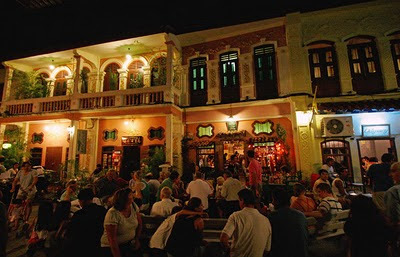 This local life festival was partly to celebrate the completion of this work and to promote old Phuket town as a place to go for an evening - there are lots of small bars and cafes, a refreshing change from the main tourist beaches. So... 2010 is here. I have many ideas for blog posts, and just need to find time! Won't be this weekend for sure... a friend's birthday party tonight and then tomorrow a little party at the beach for our son, 5 years old. 5 years gone so fast. And 10 years I have been here in Phuket. Here's to the next 10. Happy New Year.